It is a great pleasure to join you in celebrating the 20th anniversary of CICC. Five years ago, I attended the CICC 15th anniversary event here in the UK. That celebration also marked the opening of the CICC London office. · I have witnessed CICC scoring many new achievements. · And, I have seen CICC UK flourishing into an important player in the British and European financial markets. CICC was China's first joint venture in investment banking. As a result, CICC has been a catalyst in the development of investment banking in China. For the past two decades, CICC's business has been growing rapidly, with continuous improvements and innovation on products and services. The outstanding performance of CICC has secured for the company a leading position in domestic investment banking and a good reputation in the global capital market. This is clearly evident in a number of awards CICC has received. These include Best Investment Bank in China and China's 'Triple A' Investment Bank. For twenty years, CICC has been actively exploring the market outside of China. It has built a powerful global network. This now covers four major international financial hubs, namely Hong Kong, New York, London and Singapore. 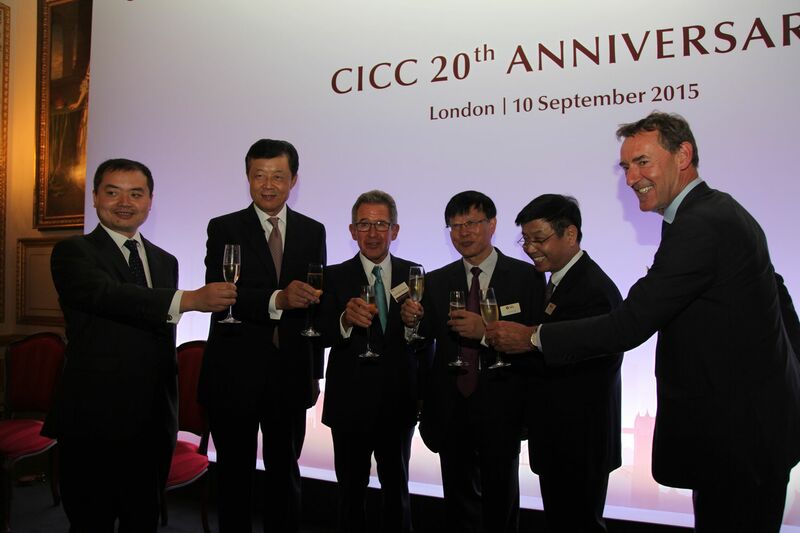 In the past five years, CICC brought the Chinese market, clients and extensive experience to London through CICC UK. London has since become a base for CICC to serve the European continent, Africa and the Middle East – a point of connection between Chinese capital and overseas markets. So, I want to warmly congratulate CICC on its achievements over the past twenty years. · The Chinese economy is growing steadily and the economic prospects are promising. · China is deepening the reforms of its financial system. · These reforms will build more open and transparent capital and monetary markets that are capable of sustained, steady and healthy development. · Chinese businesses and capital are expanding their international presence. · The China-advocated 'One Belt and One Road' initiative is gathering momentum, and the international cooperation in production capacity is unfolding. · And, China-UK economic, trade and financial cooperation is deepening. 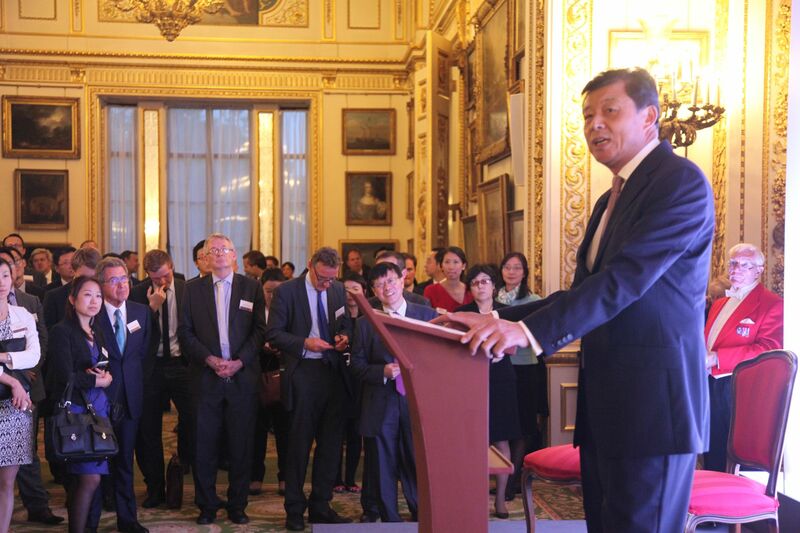 All in all, the China-UK comprehensive strategic partnership is embracing new opportunities. In October, Chinese President Xi Jinping will pay a state visit to the UK at the invitation of Her Majesty The Queen. This visit will usher in a 'Golden Time' of China-UK relations. This means that CICC is at the right time, in the right place and working with the right people. Therefore, I have reason to believe that CICC and CICC UK will have broader prospects and will score remarkable achievements. At the same time, I sincerely hope that CICC will play an even bigger role in Britain and make an even greater contribution to China-UK financial cooperation and the overall bilateral relationship.